We hope this message finds you well and getting ready for the start of another growing season. I am writing to let you know that the Annual Members Meeting of the Hudson Valley Research Lab, Inc will be held Friday, March 16th at 8:30am at the Hudson Valley Research Laboratory, 3357 US Highway 9W, Highland, NY 12528. We hope that you will be able to join us on March 16th. Active Members of the Hudson Valley Research Lab are invited to attend, join the discussion, and vote to determine the course that HVRL will take this year and provide guidance for the years to come. We will also elect board members to fill open terms and executive committee positions. 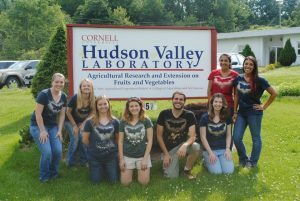 As we move forward into a new relationship with Cornell and the College of Agricultural and Life Sciences (CALS) your support has been and will continue to be vital to maintaining the operations of HVRL today and in the future. Your input helps to determine yearly research objectives, and you votes on important decisions and guidance for the future of the lab are essential.